Laparoscopic sleeve gastrectomy (LSG) has been identified as an innovative surgical approach for the treatment of obesity and is increasingly applied worldwide. However, data on outcome of LSG regarding nutrient deficiencies, protein status, and body composition are scarce. Obese subjects (54; f:m = 4:1) scheduled for LSG were included in this study. Micronutrient analysis, protein status assessment, and bioimpedance measures were performed before and 1, 3, 6, and 12 months after LSG. In 51% of the subjects, at least one micronutrient deficiency was found prior to surgery. Baseline concentrations were below normal for 25-OH vitamin D (27%), iron (29%), vitamin B6 (11%), vitamin B12 (9%), folate (6%), and potassium (7%). Frequencies of deficiencies for vitamin B12, folate, iron, and vitamin B6 tended to increase following LSG within the first year after intervention. Also, parameters of protein status (albumin, transferrin, cholinesterase, and total protein) decreased. After surgery, bioimpedance measures indicated a reduction of total body fat, but also of body cell mass. This work was supported by the “Competence Network of Obesity,” research group “Obesity and the gastrointestinal tract,” funded by the Federal Ministry of Education and Research, Germany (No. FKZ 01GI0843). All authors declare no conflict of interest; they are all independent from funders. 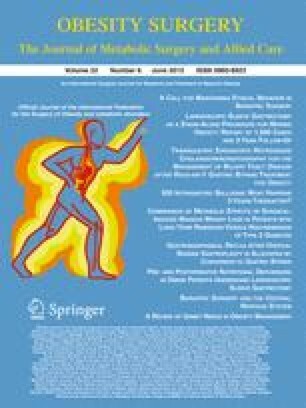 The authors are part of the competence network of obesity, which is largely funded by a research grant of the Federal Ministry of Education and Research, Germany; within this network, the research group of AK is funded in part by Covidien Germany GmbH and Johnson & Johnson, Ethicon Endo-Surgery GmbH, Germany. The sponsors had no influence in the study design, analysis, and interpretation of data, as well as in the writing of the manuscript. No other relationships or activities exist that could appear to have influenced the submitted work.